Published by Joshua Clare-Flagg on 29 Jun, 2015. I recently reviewed the Etiqus Sport Pro, which is a watch designed for golf lovers to be worn on and off the course. 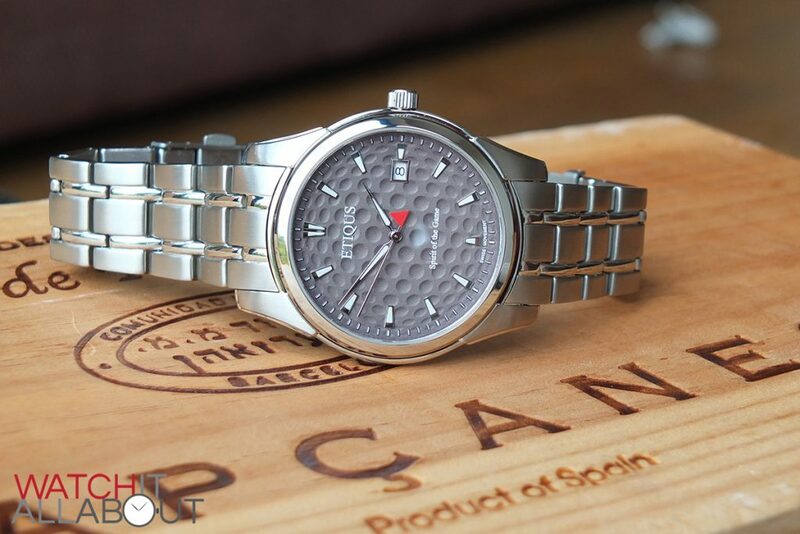 You can wear it off the course because it looks great – but you can also wear it on the course because of the patented “pace of play” bezel (very clever, and very handy). However, it is on the large size and may be a bit too chunky for many people. This is where the Classic Tour comes in. 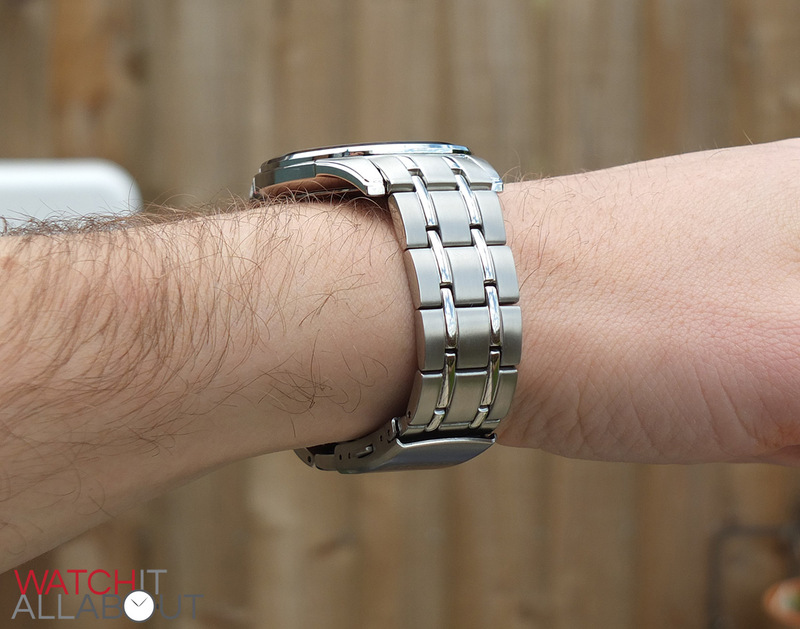 A smaller, smarter watch, its design is smarter and classier. 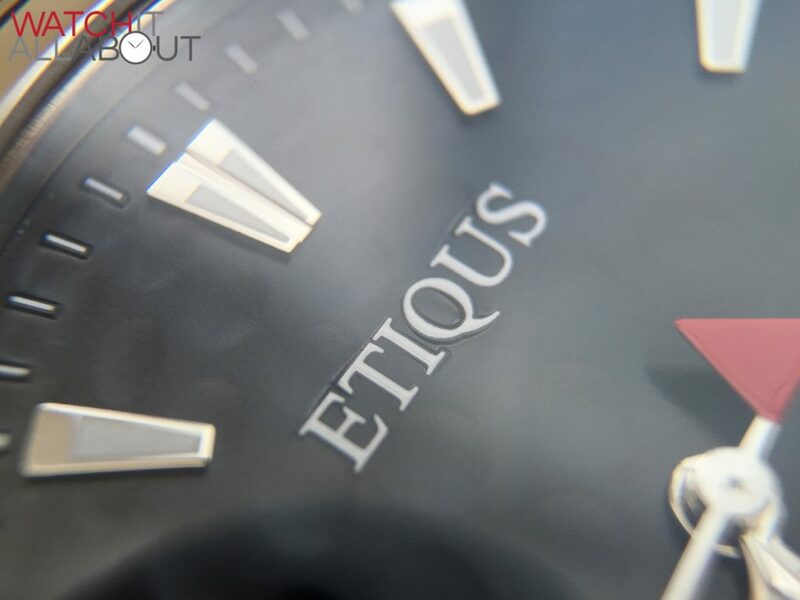 The ethos of Etiqus is that “you can tell he’s a golfer by the watch he wears”. 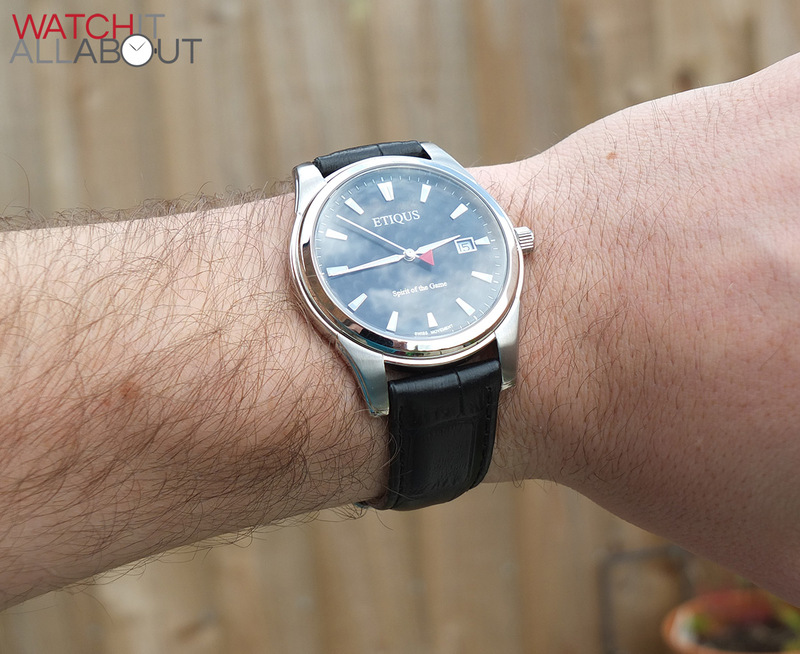 This is still certainly the case with this watch. Although it doesn’t have a pace of play bezel, it’s still heavily inspired by golf, thanks to the textured dimple golf ball dial and flag as a seconds hand. 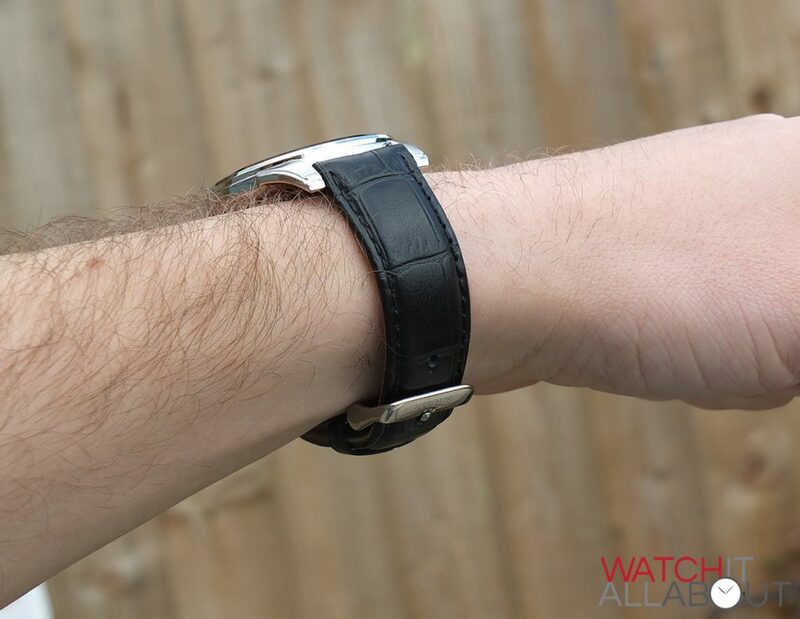 It’ll cost you £179 with a leather strap, or £199 on the bracelet. Let’s take a closer look to see if this is a reasonable price for what it’s offering. The case has an extremely streamlined appearance to it. 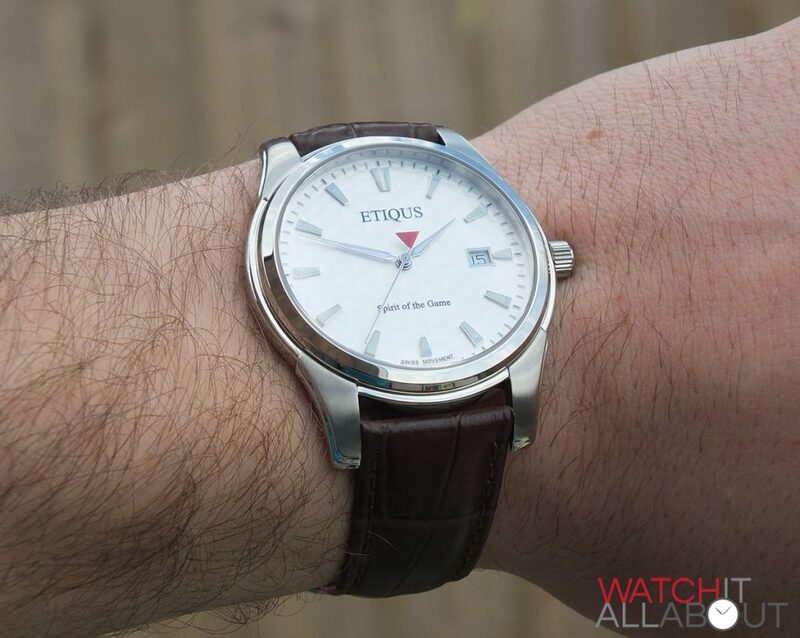 Measuring in at 40mm in diameter, and a 50mm lug to lug length, it’s the perfect size for the classier look. 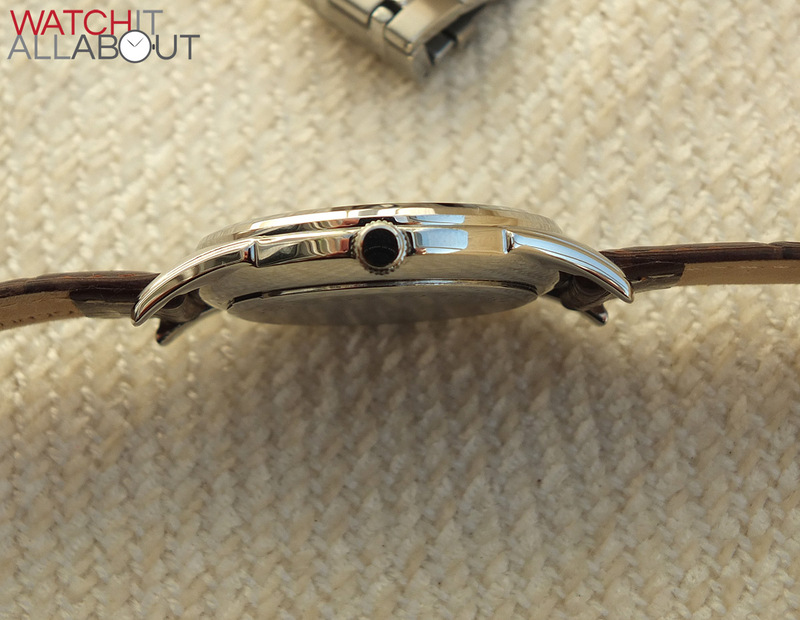 It has a height of only 9mm, so it not only looks good on the wrist, but it also fits perfectly under a cuff. The maximum weight of the Classic Tour with all links on the bracelet is 130g. So it’s not particularly heavy, yet it has a certain quality heft to it. 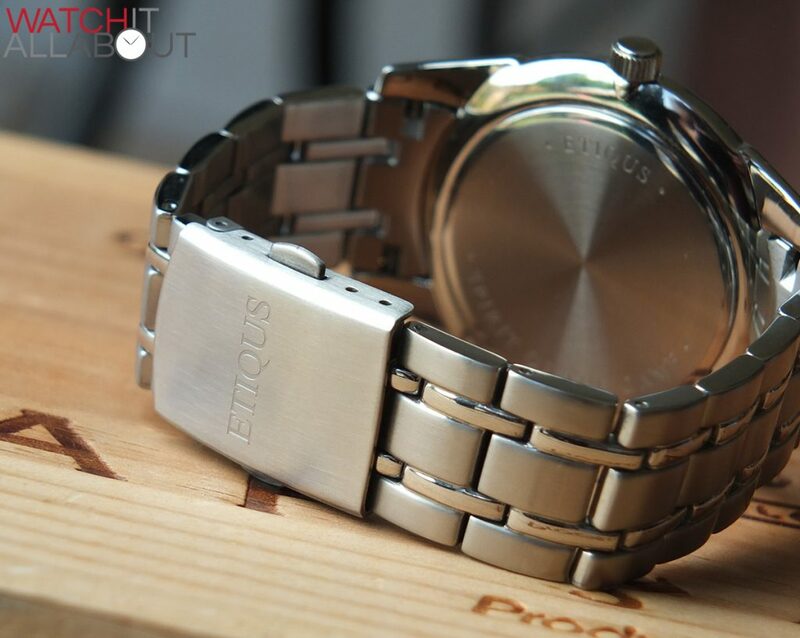 The finishing is a pleasant mix of brushed and polished stainless steel, the majority of the case being the latter. 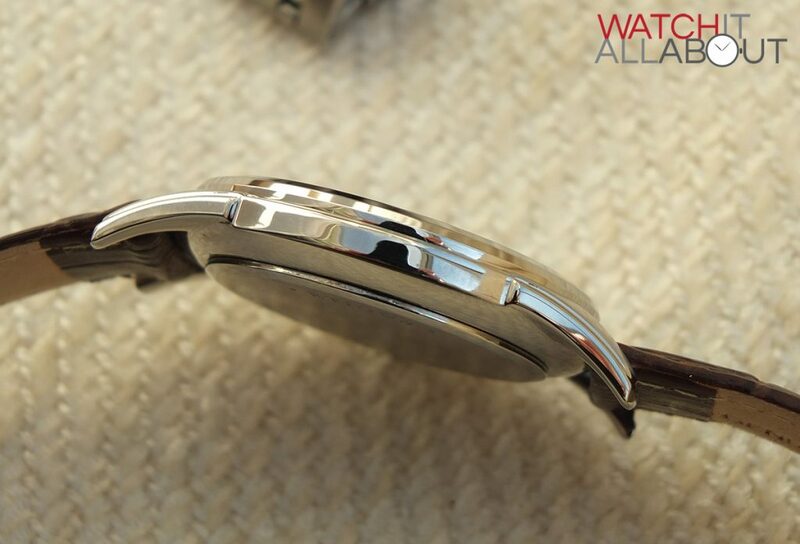 The top corners of the lugs (as well as the caseback) are the only brushed elements on the case, and are segmented in a very interesting way. The quality of the case in terms of machining and finishing is top notch, with no marks evident whatsoever, everything is more or less completely flawless. 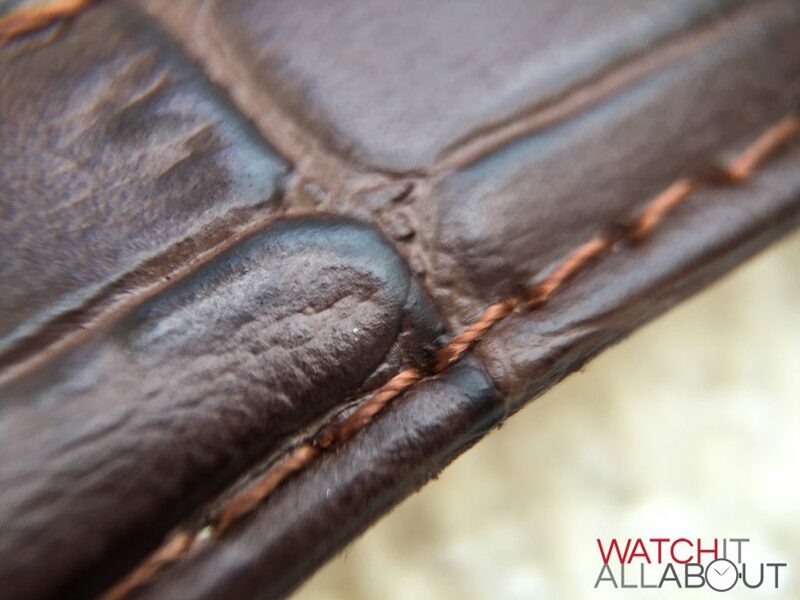 The caseback is very simple, and is secured via push-fit rather than the more usual screw-in fit. This results in a lower water resistance, but it’s still rated at 50m, so it is perfectly acceptable for light water immersion. 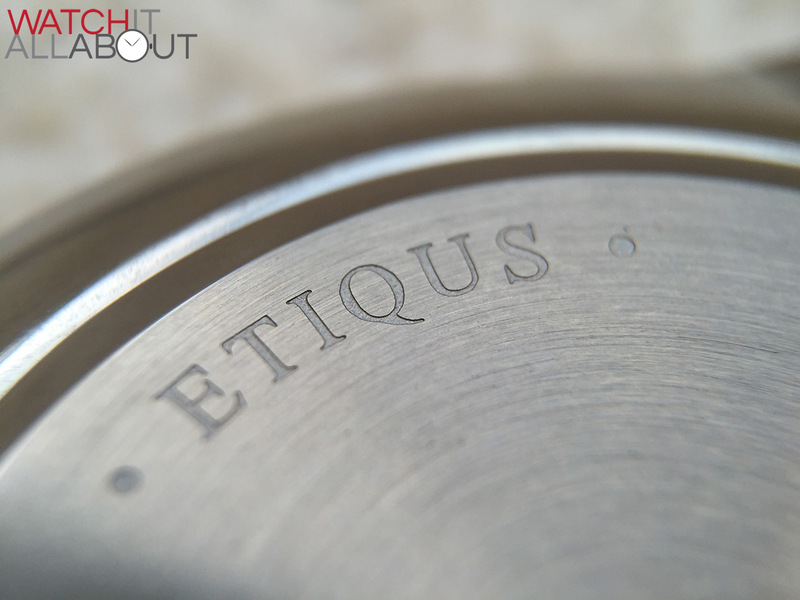 It’s brushed stainless steel, and has just two engravings – Etiqus on the top, and “spirit of the game” at the bottom, both following the curve of the outer edge. The engraving is nice and deep. The push-pull crown is extremely simple, with no markings or engravings on the end. I personally would have liked to see something here, but it’s not too much of an issue that it’s been kept plain and simple. 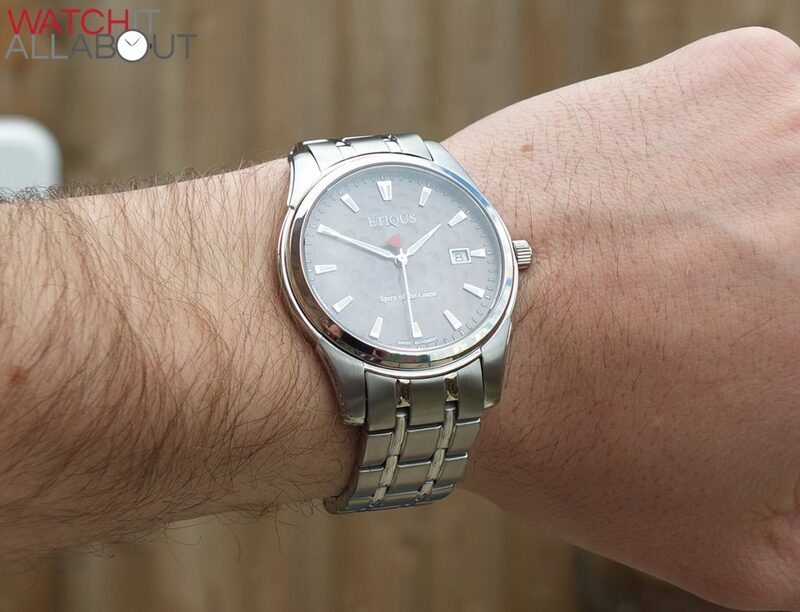 The grip is sufficient to alter the time and date, and it is all well machined with a high level of polished finish to match the side of the case. 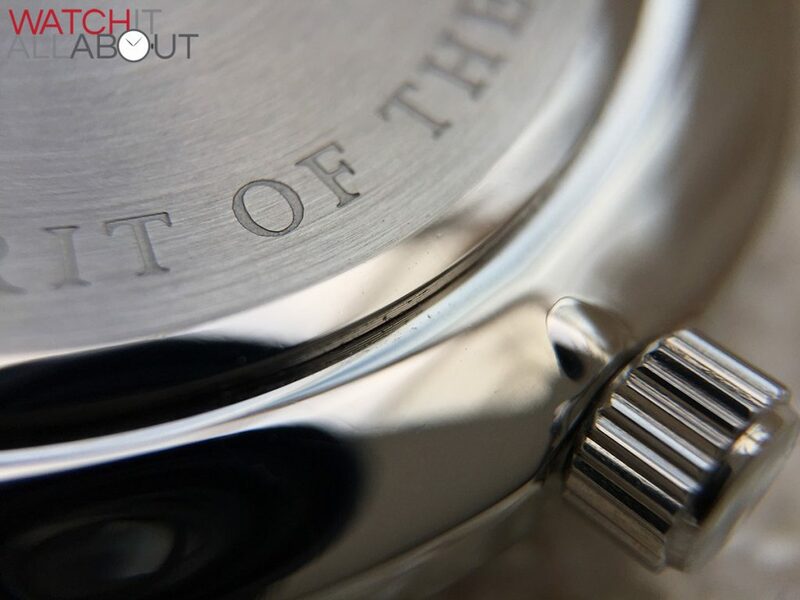 Sitting atop the case is a very clear sapphire crystal with a thin layer of anti-reflective coating on the underside. 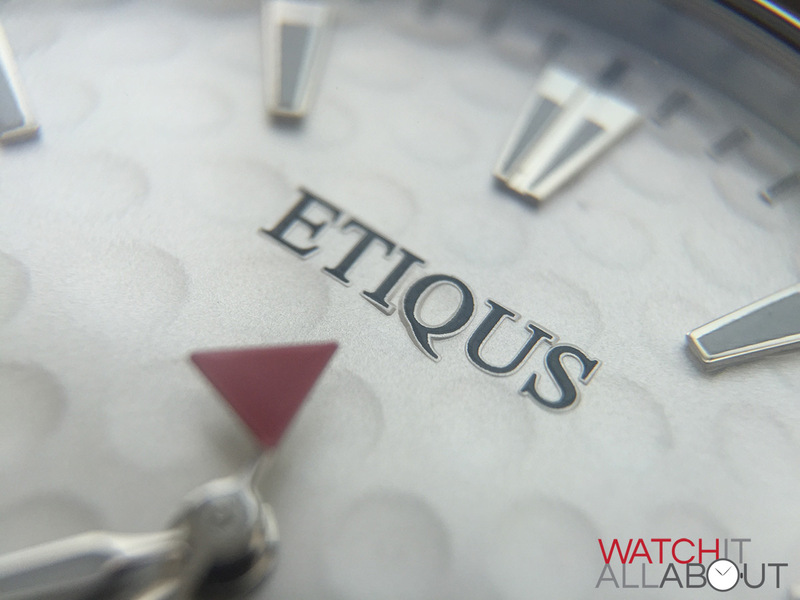 This is most effective on the white dial, which is extremely clear, then the Auld Grey dial, then the black dial, which does show more reflections. Sapphire crystal is obviously always the best choice to go for thanks to the superior scratch resistance, and it seems to be pretty thick on the Classic Tour too – giving a decent thud when you tap it, signifying high quality. The case is simple, but I do like the style of the brushed lugs and I think it does just enough to make the case a little different and interesting. The case as a whole is very well made and there’s no complaints here whatsoever. The dial is available in three colours: black, white and auld grey. Auld grey is referring to the colour of stone used a great deal in St Andrews, the home of golf, which is a nice link. I can usually choose a favourite dial colour but to be honest, all three look great and I really can’t make a decision. 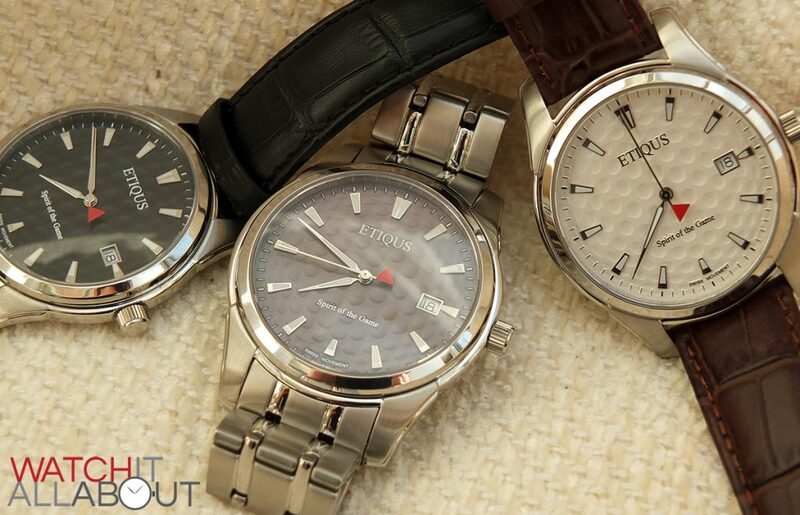 They all look very classy and smart on the wrist. 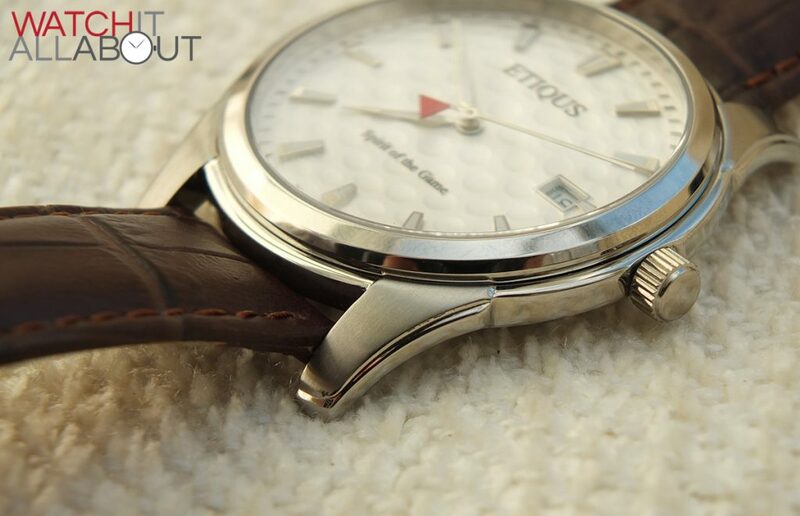 The key feature of the Classic Tour, just like any other Etiqus, is the golf dimple effect on the dial itself. This is a great feature that many people love. It’s done in a subtle way so it’s not too harsh on the eye – so others don’t notice it at first, and then go on to comment about how much they like the fact that the face is just like a golf ball often when they’ve taken a double take. The dimples look fantastic to he human eye, but when viewed under a macro lens, they are a little bit pixelated around the edges. But, it still looks smart and is the best you’d be able to get. The hands are simple and are obviously aimed at a more classic look. The second hand is golf themed without a doubt, being a red flag pointing to the left – inspired by the logo of a very famous golf tournament. The hour and minute hands are both the same shape, just in different sizes. The shape is called an alpha shape, and is a very thin diamond, with the bottom half being a lot shorter than the thin, elegant top point. 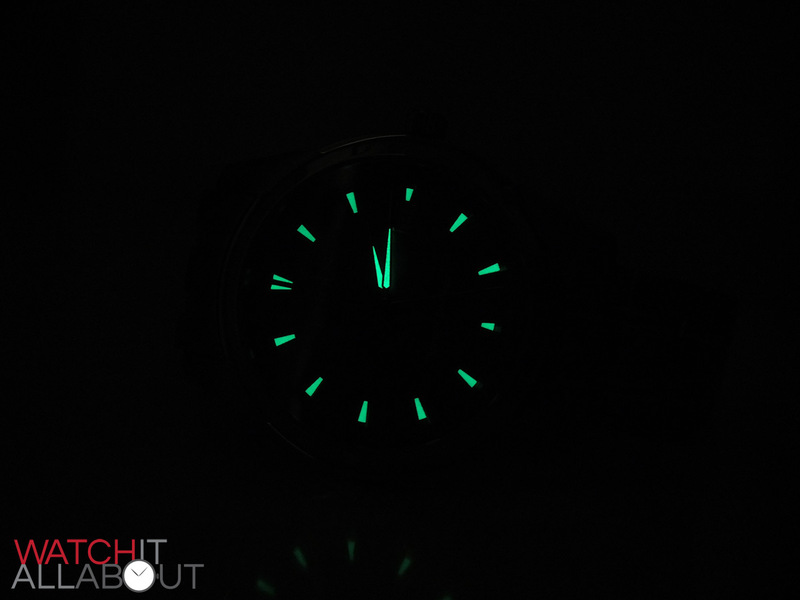 The hands are filled with lume, which isn’t that strong to be honest. It doesn’t charge up particularly fast, nor does it last too long. This same strength lume is found on the hour markers too. The hour markers are applied, which I always love to see. They’re a pleasant trapezoid, with a polished base / border and lume center. The edge nearest the bezel is thicker than the other edges creating a “bold” base to them, keeping them visually interesting. They’re all very well manufactured and are applied accurately. The printing on the dial is all very thin and precise, and I like how all the text is on its own little platform to avoid printing directly on the dimpled golf ball effect. This requires very high accuracy to get it all spot on and I’m pleased to see that this is the case with the Etiqus Classic Tour. 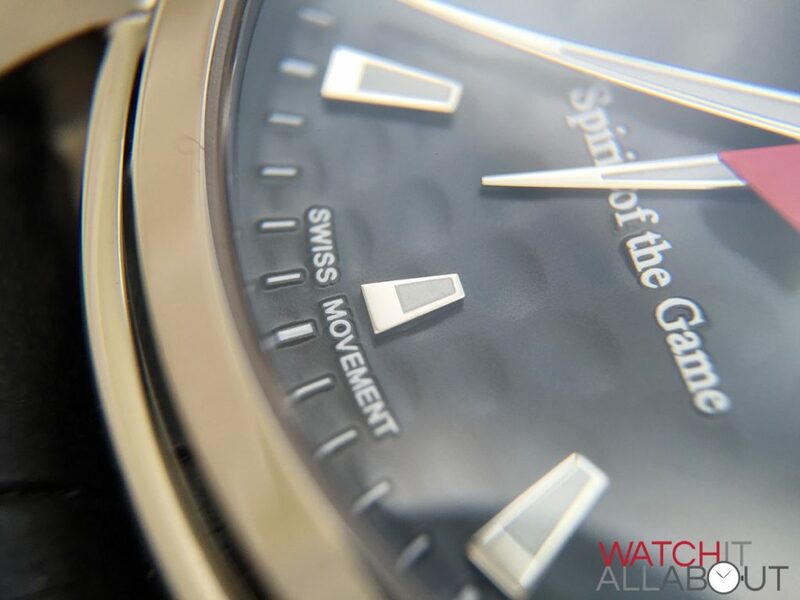 The printing is pretty minimal, with the logo located in the top half, the company slogan “Sprit of the game” in the bottom half, Swiss movement at the very base of the dial, and finally the thin and unobtrusive minute track around the outside. 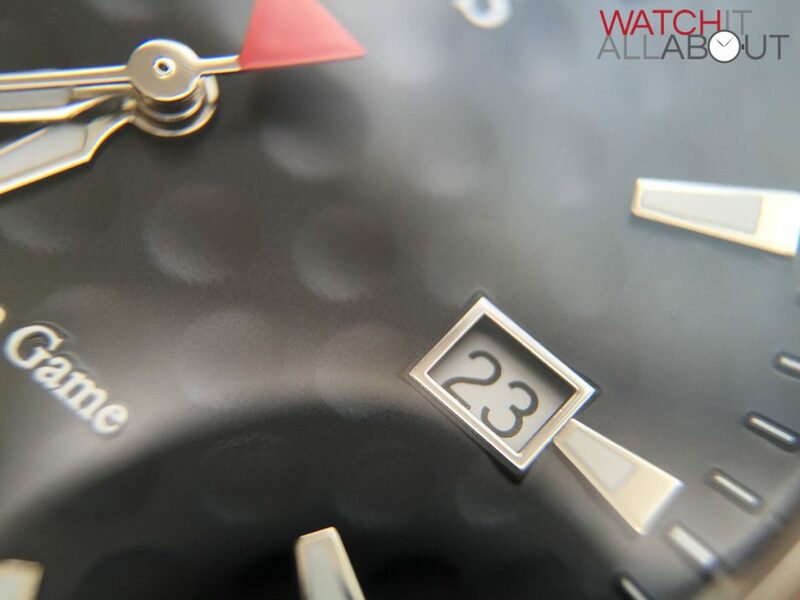 The date window has a polished border to it, which is always much more impressive to see than a simple cut-out of the dial. The border matches the hour markers and hands too, so they all reflect and catch the light pleasantly just at the right angles. 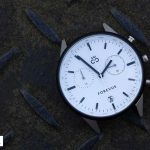 The date wheel itself is white with black text on all the models, so if you’re the type of person who likes it to match, then the white dial is the one for you. Which one do I prefer? 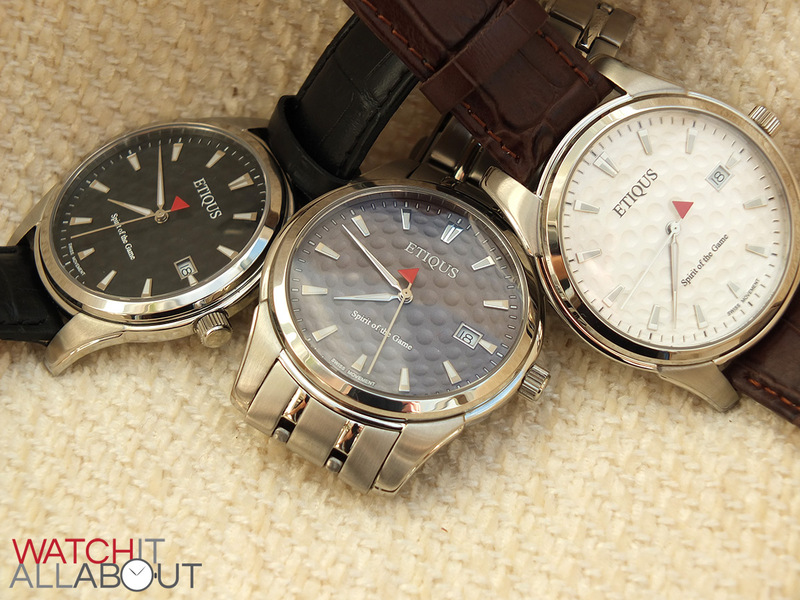 It’s pretty hard to choose, but I think I like the white dial version most. Not only does it make most sense with the golf ball dimples but it also looks extremely classy (to be fair, all three do), but I just feel it catches my eye a little more than the other two. 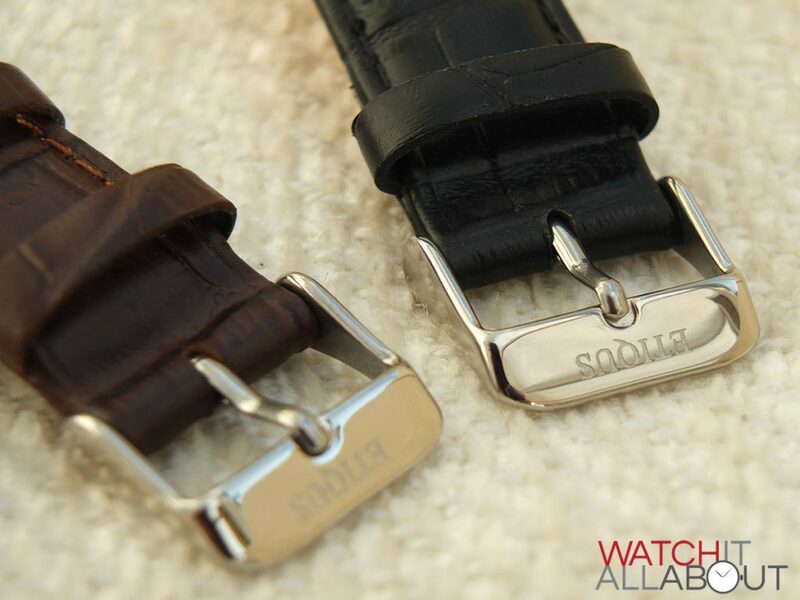 The leather strap and bracelet both measure 20mm wide at the lugs, reducing to 18mm at the buckle. The leather is very comfortable, soft and obviously high quality. 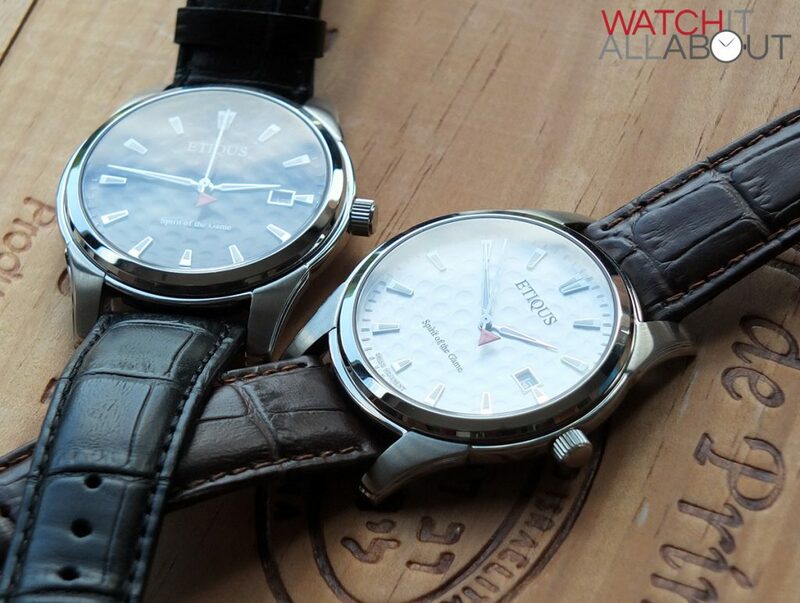 It comes in a choice of brown and black, both bringing a different style and look to the wrist. 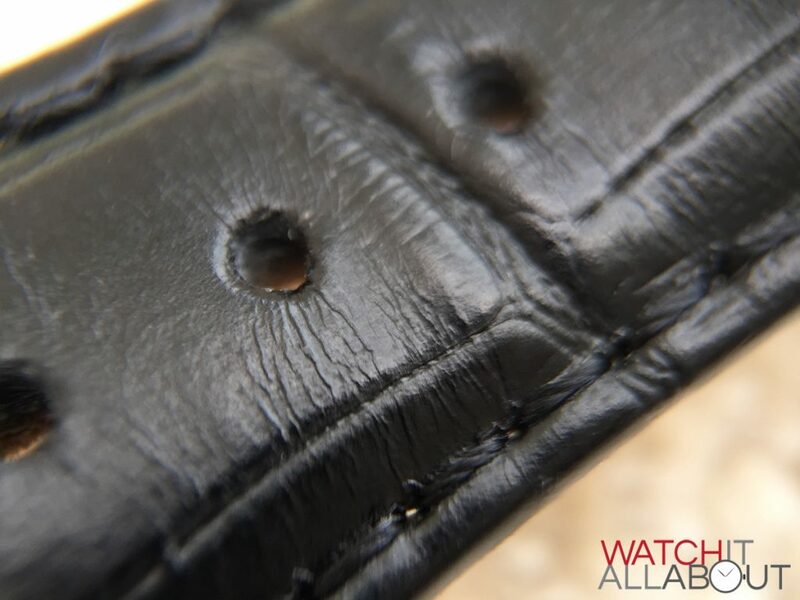 The black strap is a deep, jet black, with matching stitching and is synonymous with a classic dress watch. 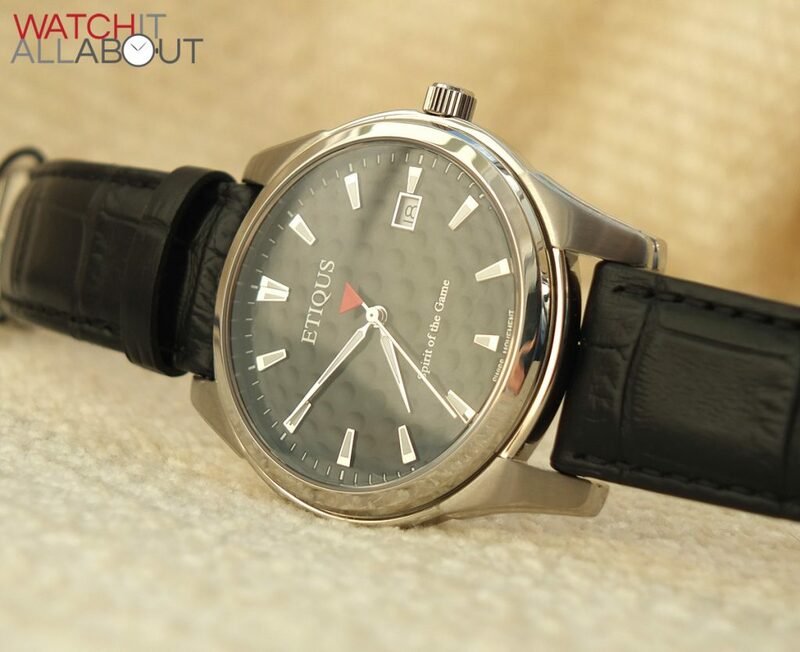 Matched with the black dial, the Classic Tour looks great in a suit, but also passes off casually too. 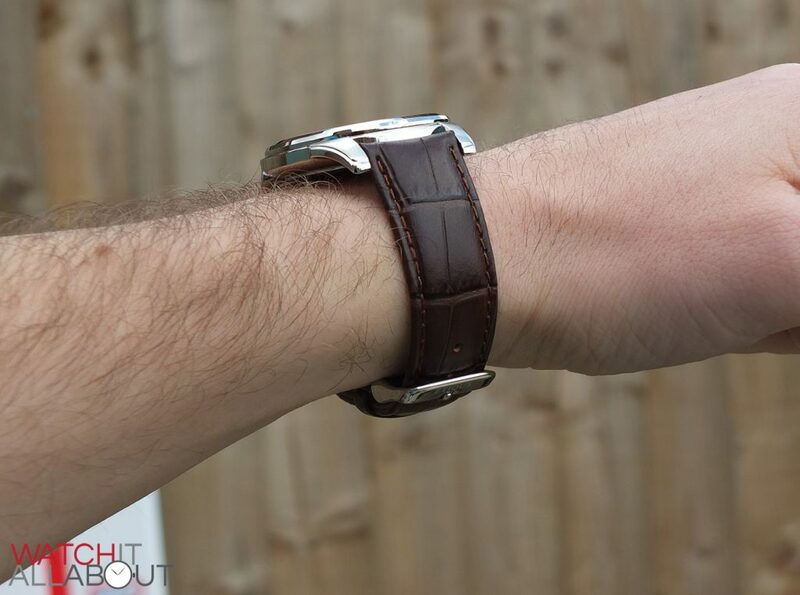 The brown strap is slightly more casual – it is a lovely rich oak colour with lighter stitching. The buckle is quite simple, being a pretty standard tang buckle, and is completely polished. It has Etiqus deeply engraved within the top bar. 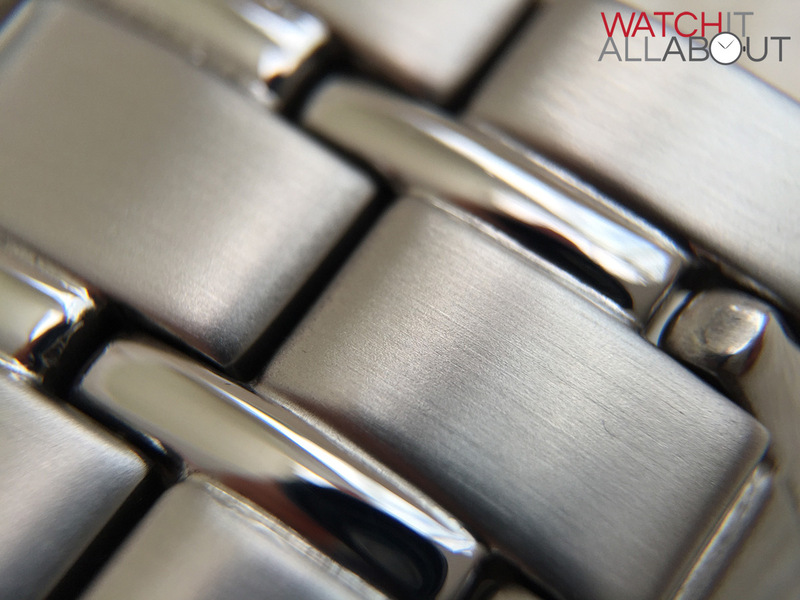 The bracelet is a mix of brushed and polished steel, with two thin polished stripes throughout. 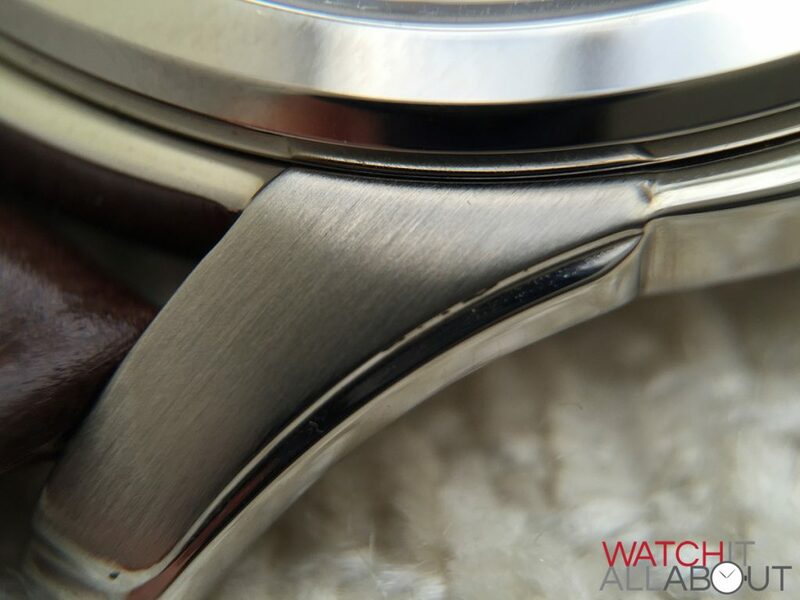 To match the streamlined appearance of the case, the links are also quite thin. This has its pluses and minuses. 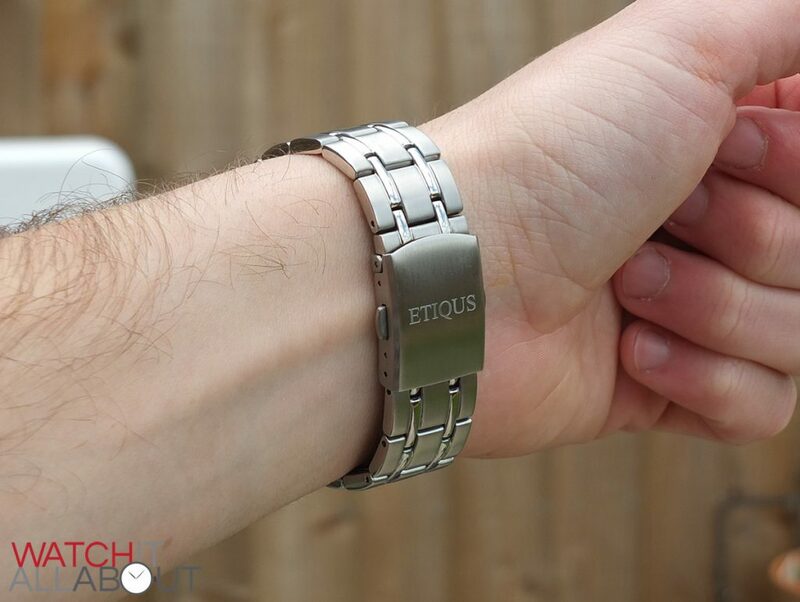 The positive is that it is very comfortable on, and as mentioned before it keeps the watch very thin and close to the wrist. 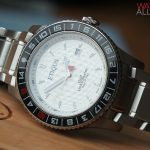 The only negative is that if you’re like me and prefer a chunky bracelet, which offers a bit of weight and heft to the watch, then the bracelet on the Classic Tour will probably feel a tad too “lightweight” for you. The finishing is all neat and tidy, especially around the difficult sections where the polished and brushed areas meet. 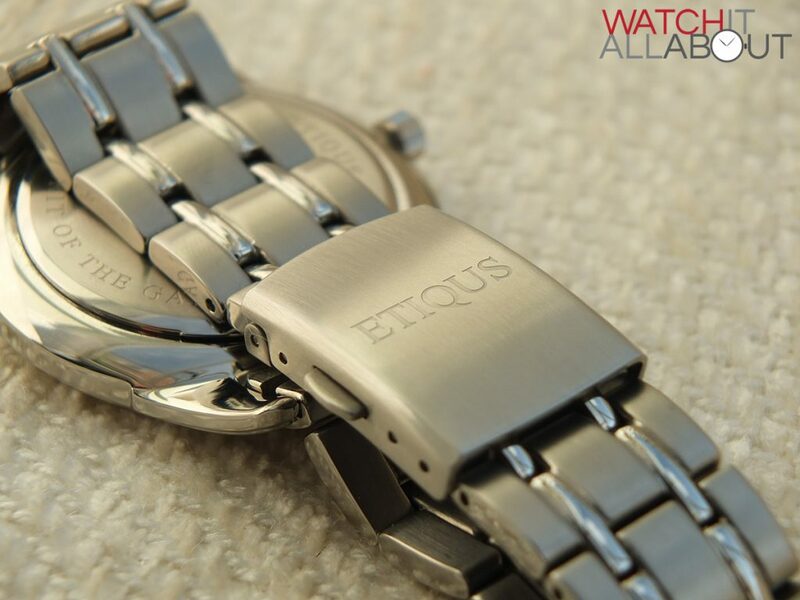 The buckle on the bracelet is brushed, with Etiqus deeply engraved along the centre of it. It’s a single locking buckle, so you release it by pressing the two buttons located on either side. This has proved to be sufficiently secure, I haven’t had it fail on me and pop open by itself yet. 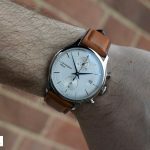 I personally much prefer the leather straps, not because of the bracelet’s quality, but more because of the style – it’s just not to my taste. That not to say it’s a bad bracelet in the slightest. I believe it suits the watch very well, is very comfortable, and it has indeed proved to be very popular with the slightly more mature wearer. To be completely honest, they’re both great choices no matter which on you go for. 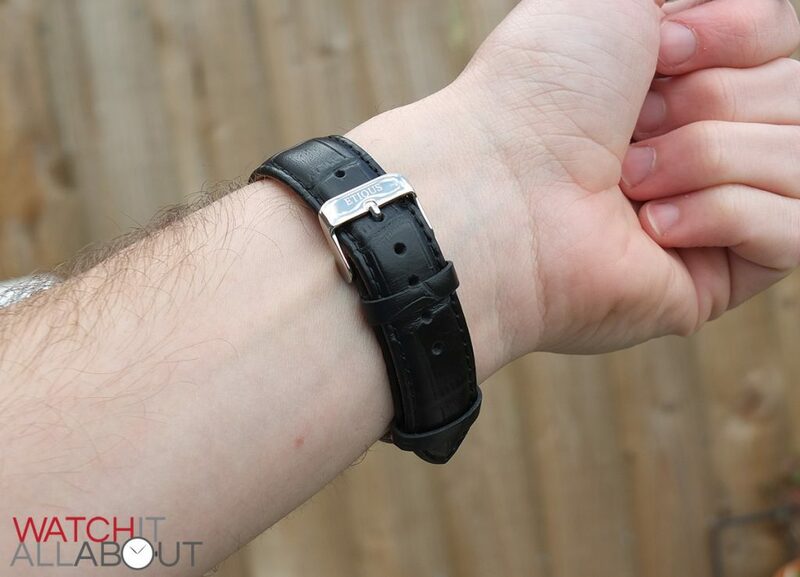 The leather is lovely and soft, and the bracelet is extremely comfortable. The movement is Swiss Made, namely the Ronda 6003D. 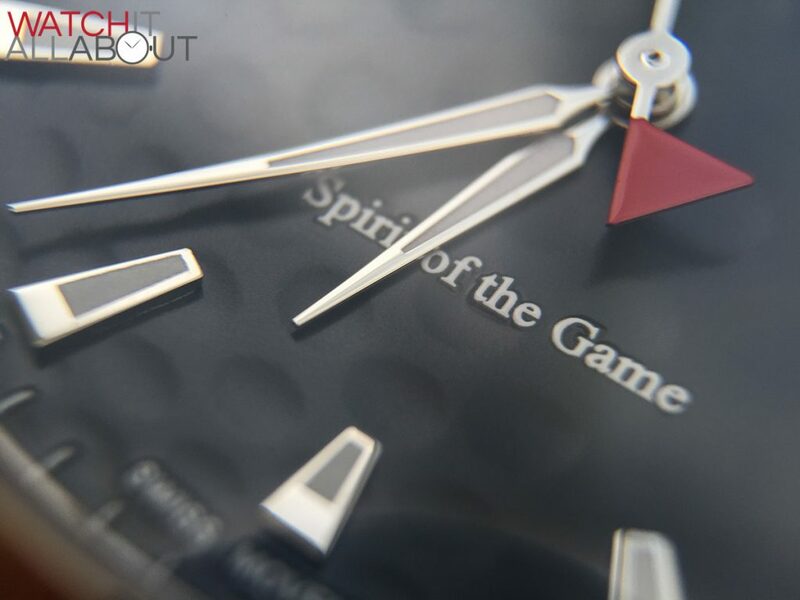 It’s a very solid and dependable quartz movement that is also used in the Sport Pro. It’s a higher quality movement than your standard quartz movement, thanks to its gold plating and 4 jewels. It has a battery life of around 3 years. 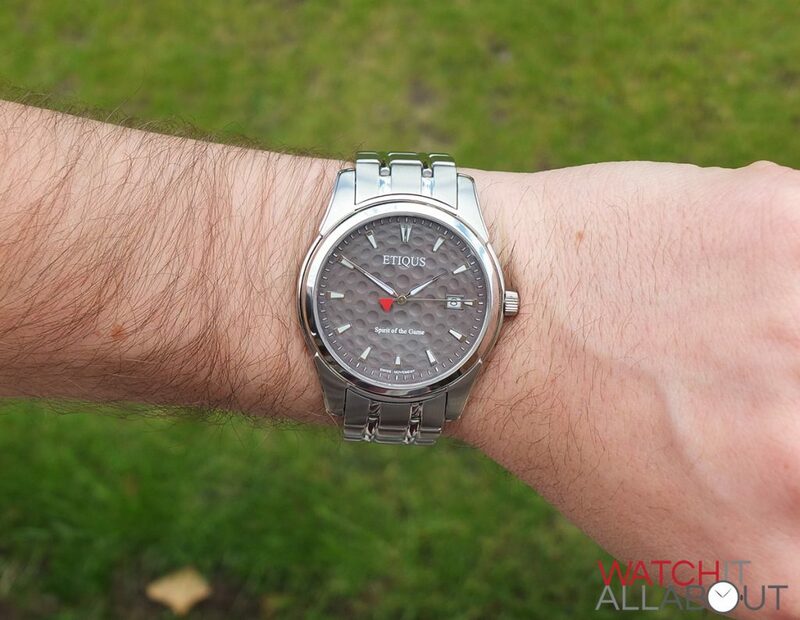 The accuracy is the same as any other quartz; that being -10/+20 seconds a month – perfectly acceptable. Ronda have an excellent reputation of manufacturing reliable movements, so the Classic Tour Will keep on ticking for many years to come, both on and off the course. 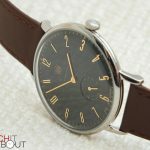 Keeping to the style and specs of the Classic Tour, I think it’s main competitor would be the Christopher Ward C5 quartz. 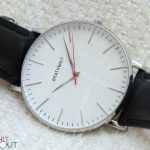 Both are quartz, around the same price range (the C5 is £199 for leather, £250 for bracelet), and are in a similar vein when it comes to looks. The C5 is Swiss Made, so it’s gotta bit of an edge there, but if you’re in it for the golf, then the Classic Tour is the obvious choice. 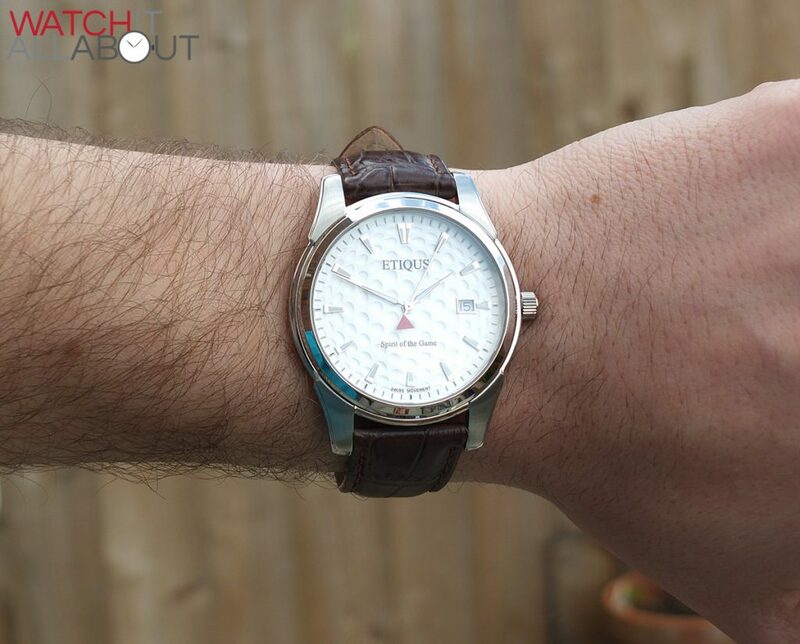 My personal taste means that the bracelet doesn’t appeal to me (as someone in their late 20’s, I think it is more of a match for a slightly older generation. Gary (the director) tells me that the bracelet is very popular, and that the Classic Tour is favoured by the more mature end of the scale, which makes sense. 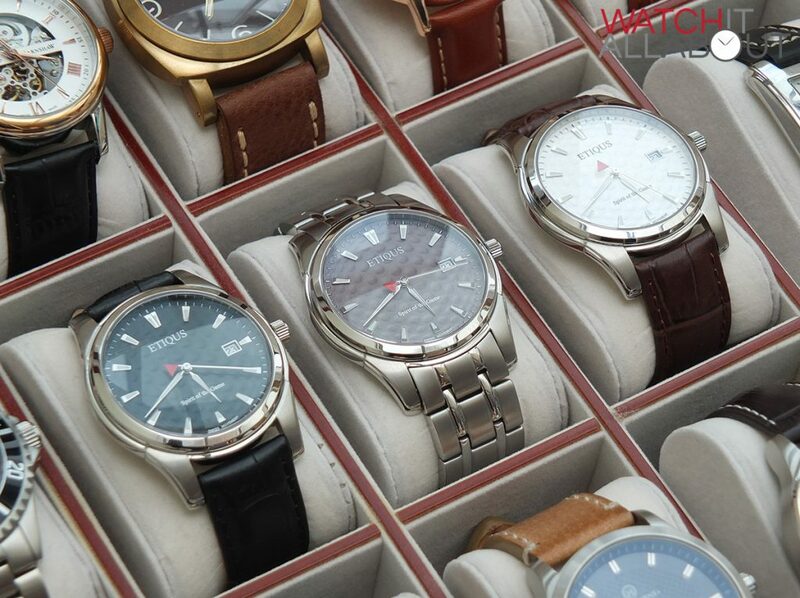 If I really was to choose one of the Classic Tours, I’d most probably pick the white dial with the brown strap. 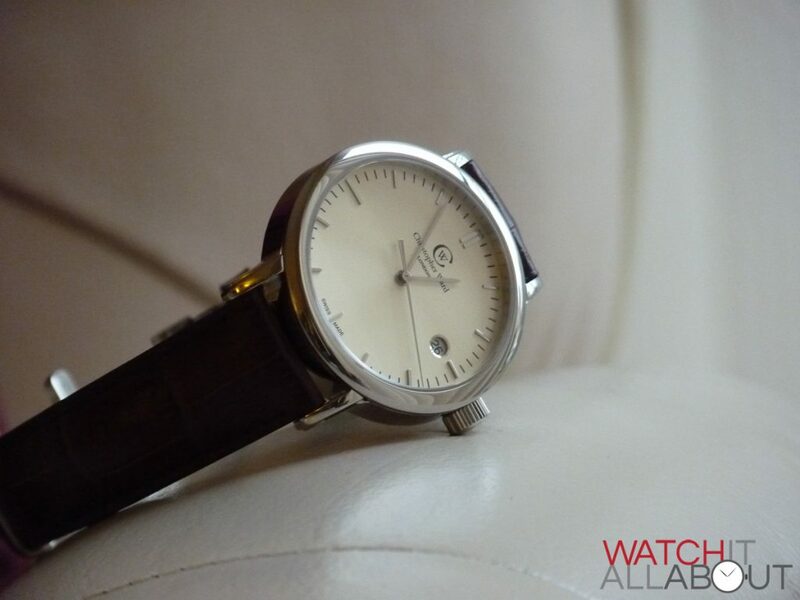 It looks very sharp and classy, and it also wears extremely well thanks to the good quality leather and slimline case. For £179/£199 I think they’re a great deal. Smart design, high build quality, and high specs are all working well here. 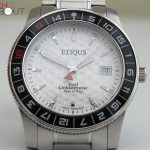 Obviously all Etiqus watches are aimed at quite a specific market – that being those who love golf. If you do, then I don’t think there’s a better way to declare your love for this splendid game.